The attachment of the Latin Church to the rule of the priestly celibacy is often misunderstood. Why does the Church maintain this discipline? What is its foundation? How can young people prepare themselves for it today? Here are some elements of responses, taken from the Magistery and the practice of the Church. 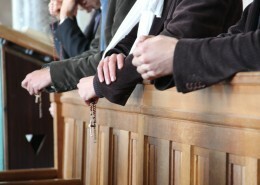 The celibacy: an ecclesiastical law to call into question? 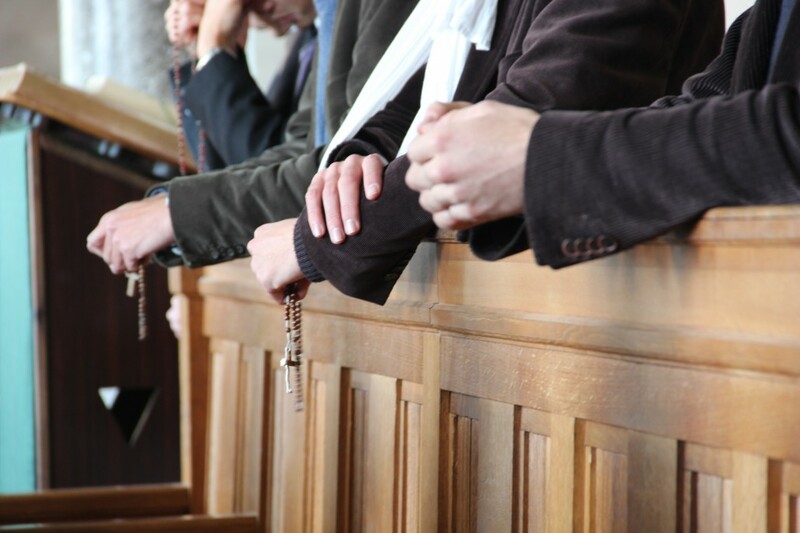 The affirmation that the practice of the celibacy “is not demanded by the very nature of the priesthood” (Second Vatican Council, decree Presbyterorum Ordinis no. 16) has often been used in order to make of the celibacy nothing but a purely disciplinary question. The celibacy would thus only be a constraint imposed on the priests by the Latin Church, a constraint more and more incomprehensible in the view of the present mentality and of the lack of priests to celebrate the Eucharist. This way of presenting the facts, relayed by the media, does not take into account the true motivations of the Church when she speaks of the “many-faceted suitability” of the celibacy for the priesthood. 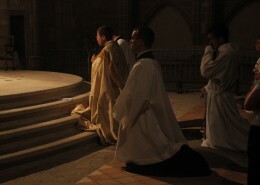 There is a “many-faceted suitability” of the celibacy for the priesthood. 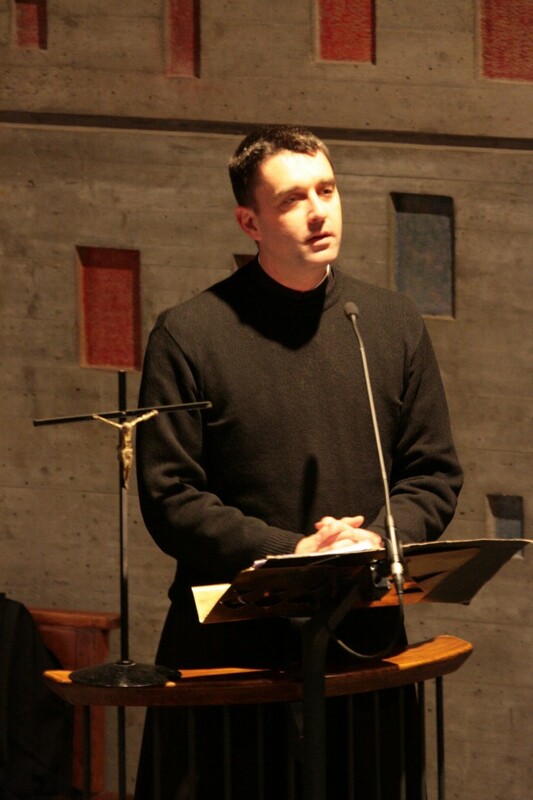 The celibacy, or the choice of a life consecrated to God. To highlight the argument of the total availability to the mission as a motive for the celibacy gives rapidly rise to objections. Married people could be very much available and celibate priests very little because of being too preoccupied with themselves. The true foundation of the celibacy is found elsewhere. It is found in the consecration of one’s whole life to Christ. In fact, the priest announces the Good News of the Kingdom as someone who does not fear to sacrifice the joys of the marriage and the family, with the goal of bearing witness of his faith in the realities unseen. Taken hold of by Christ, the priests becomes “the man for the others”, totally available for the Kingdom, without a divided heart, capable of welcoming the paternity in Christ. The celibacy is far from being marginal in the life of the priest; he bears witness of a Love modeled by the Love of Christ himself for his Father and our Father, his Church and our Church and all mankind. This manner of loving in and through the celibacy is the language of the gift of oneself. Its perfect symbol is forever the Cross of Christ. Like for Christ, the renouncing isn’t primarily in the celibacy. The celibacy is the expression, the sign, the consequence of the desire to give oneself. Finally, the true and profound motive of the consecrated celibacy is “the choice of a closer and more complete relationship with the mystery of Christ and the Church for the good of all mankind” (Paul VI, encyclical Sacerdotalis caelibatus, no. 54). It is one of the large richnesses of the Second Vatican Council and of the reflection of the last Popes to not only present the celibacy as a law, but foremost as a gift, a charism deeply connected to the grace of the call and of the ordination: “Preeminent among these counsels is that precious gift of divine grace given to some by the Father (cf. Mt. 19:11; 1 Cor. 7:7) in order more easily to devote themselves to God alone with an undivided heart (cf. 1 Cor. 7:32-34) in virginity or celibacy. This perfect continence for love of the kingdom of heaven has always been held in high esteem by the Church as a sign and stimulus of love, and as a singular source of spiritual fertility in the world.” (St. John Paul II, apostolic exhortation Pastores dabo vobis no. 29). 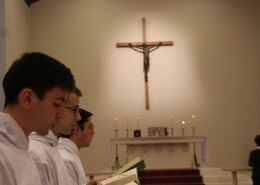 This gift of the vocation to chastity in the celibacy requires consequently an adequate preparation: the seminarians are invited to progressively receive such a gift in order to live faithfully by it during all of their lives as priests. Given that the celibacy engages one’s whole being, it is the whole person with its different components which has to be taken into account in this formation to the celibacy. Thus, the celibacy requires es as much a human and psychological formation as a spiritual and theological one. The Church must be attractive. Wake up the world! Be witnesses of a different way of doing things, of acting, of living! It is possible to live differently in this world. We are speaking of an eschatological outlook, of the values of the Kingdom incarnated here, on this earth. It is a question of leaving everything to follow the Lord. AT WHAT AGE SHOULD ONE ENTER SEMINARY? 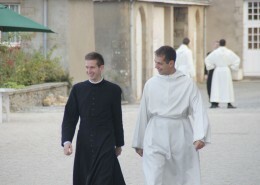 THE COMMUNITY OF SAINT MARTIN: A CHOICE OF THE HEART OR OF THE REASON?